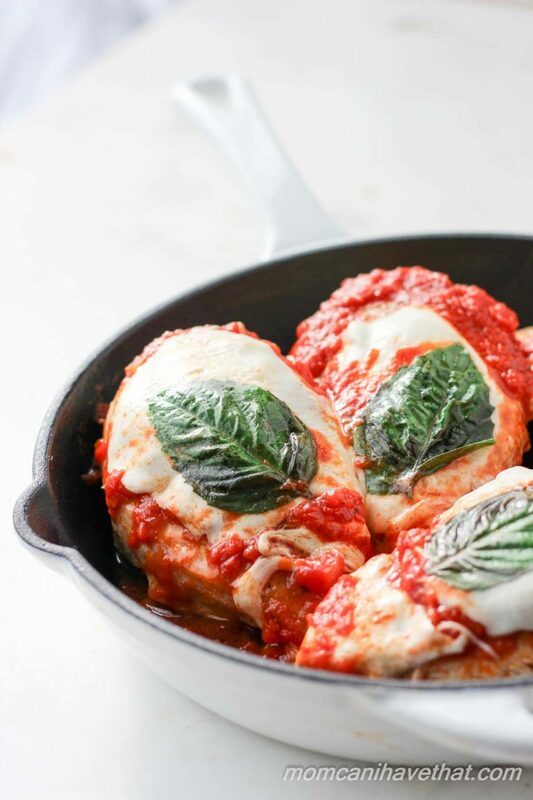 Caprese chicken mozzarella is an easy chicken recipe for quick weeknight meals. 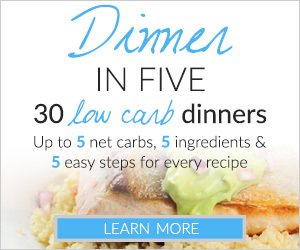 Only a few simple wholesome ingredients are needed to make this low carb dinner. Since it cooks in the skillet, your house stays cool! As my kids are getting older and becoming involved in more extracurricular activities, I find my available time severely limited. 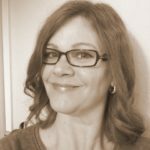 Perhaps it’s not the kid’s activities at all but rather all of the time I spend working on the blog – we’re talking at least 10 hours a day. I spend my typical day cooking all morning, then taking photographs and working on the computer until it’s time to pick-up my children from school. Then it’s time for homework and tidying-up before my husband comes home, which rarely leaves me time to prepare dinner (unless I was testing a dinner recipe). One thing I have thought about is how I can make dinner preparation faster and easier so we aren’t tempted with ordering off-plan. 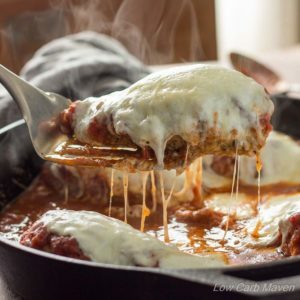 I make a more traditional chicken mozzarella and chicken Parmesan that involves breading and frying the chicken and then baking it in the oven. 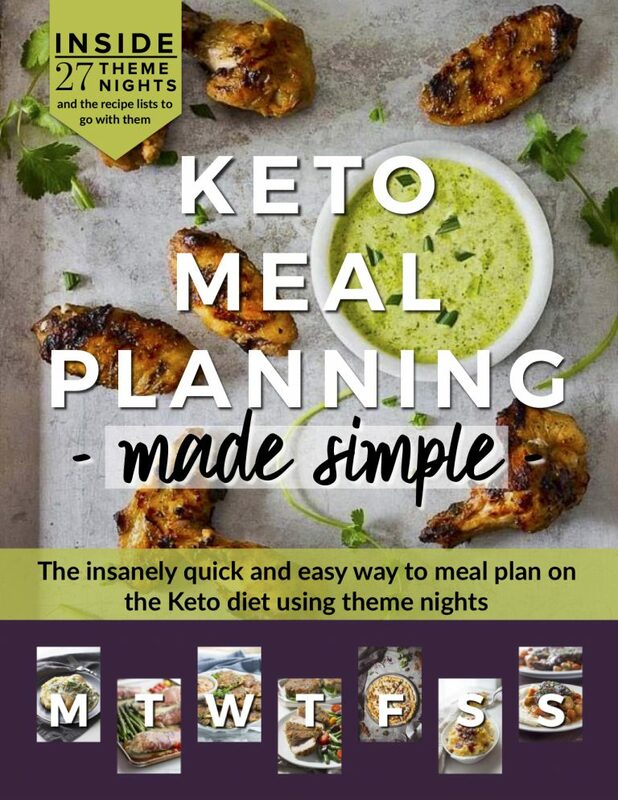 It’s fabulous but now-a-days I am looking for quick weeknight dinners that are lower in carbs but still taste great . 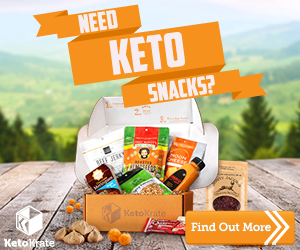 In today’s day and age, we are ALL busy people who want a fast meal without sacrificing flavor. helped speed this dish along and fresh Mozzarella cheese was especially nice. Make sure to choose a pasta sauce that is as low in carbs as possible and full of flavor. I chose a Marinara sauce that was 4 net carbs per 1/2 cup and those numbers are reflected in the recipe analysis. 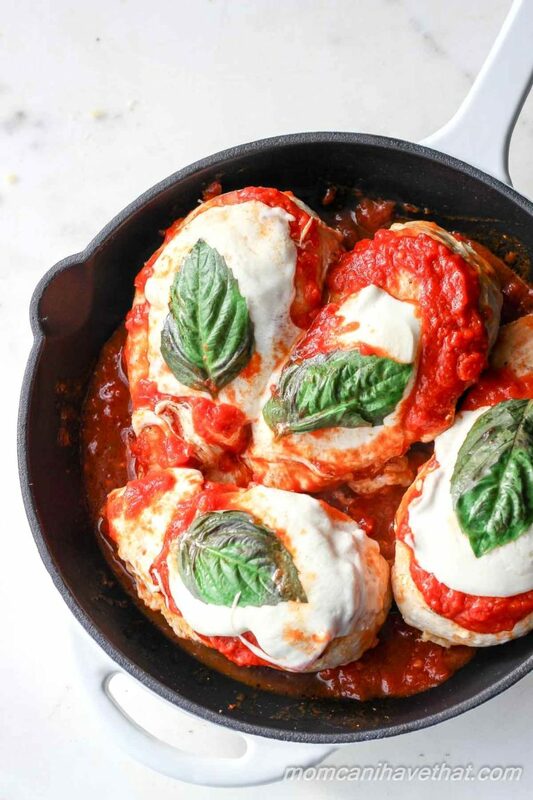 Easy Caprese Chicken Mozzarella is 6 net carbs per serving. 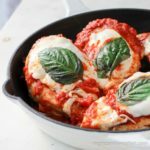 Easy caprese chicken mozzarella - Just a few simple wholesome ingredients and a skillet make for a quick low carb and gluten-free entree. No oven, means your house stays cool! Rub the olive oil over the chicken breasts and season them with salt. Sprinkle the Garlic Herb Seasoning Blend over each breast, patting it in. Pour enough oil in the skillet to saute the chicken. Place the chicken in the pan and cook for 5 minutes (8 minutes if they are huge), then flip and cook another 5-8 minutes. NOTE: If the chicken was cold, straight from the fridge, it may take a minute or two longer than the time I have indicated. Spoon 1/4 cup sauce over each of the pieces of chicken and place 1 ounce of the sliced Fresh Mozzarella cheese on top. Cover the pan with a piece of foil or a lid and cook for 1-2 minutes on low until the cheese melts. Serve, or place under the broiler for a few minutes to brown the cheese. I made this with thighs, much tastier and more flavorful and fat than breast. Loved it and will make it again!! Makes very good undercooked chicken. Enjoy! Hi Mike. The cook time will depend on how cold the chicken is to start with, how thick it is, and how hot your pan is initially. My chicken breasts were about 6 oz each. If you use a GIANT, thick, chicken breast straight from the refrigerator, it’s going to take a little longer to cook. I suggest getting an instant read thermometer to check the internal temperature (place it in the middle of the thickest part in the chicken – you can Google how to use one). You want the internal temperature for the chicken to be 165 degrees F. (it’s completely cooked at 170) and then let it sit for about 5 minutes before eating so that the carry-over heat takes it to 170 degrees F.
Hi, looking for truly low carb recipes for my weight loss but still want flavor. So far what I’ve seen is wonderful and simple..hope I can find more of your recipe’s..a cookbook would be good.. Very good! I Can’t wait to take the leftovers to lunch tomorrow.